Learn how premium gin is made and gain insight from profiles of more than 45 gins by distillers from all over the world, acquire top tips on how to serve and taste it, and follow step-by-step instructions to make your own irresistible infusions. Gin aficionados, let your ima-gin-ation run wild! Curiously quirky yet comprehensive, this is your ultimate guide to choosing and infusing your favorite spirit. Discover 45 of the top craft gins from the US, Canada, England, Scotland, Europe, Australia, and New Zealand, and enjoy an in-depth profile of the smallest commercial distiller of its kind. Soon you'll be familiar with botanical flavors and craft ingredients like raspberry syrup, hibiscus sugar, and smoky ice cubes. Once you know your coupe from your collins, peruse and prepare a gorgeous array of cocktail recipes straight from the mind of international mixologist Klaus St. Rainer. 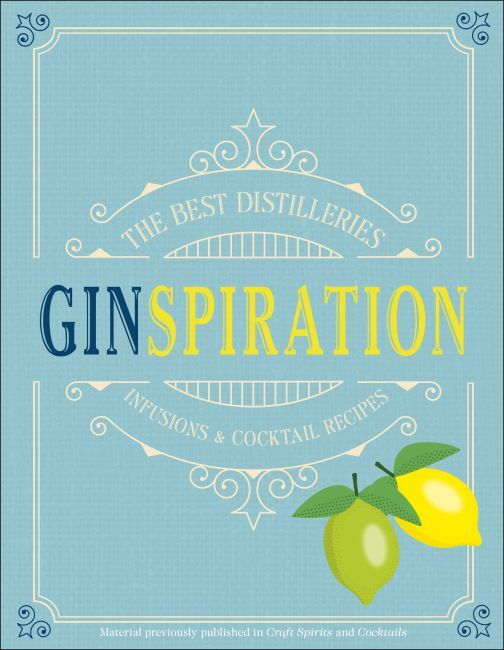 Whether you choose a classic Martini or a Royal Hibiscus Gin Fizz, Ginspiration will put you in the spirit to shake up something sensational.